According to researchers at Cornell University, fast food and junk food are not what’s causing the obesity epidemic in America. 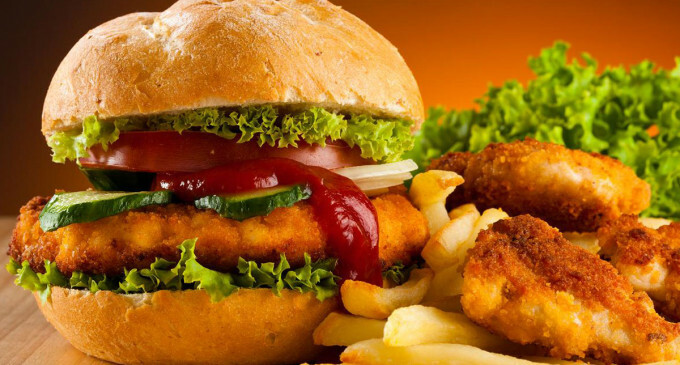 While these foods are full of sugar and can be detrimental to your health, scientists found no correlation between junk/fast food and obesity. The real culprit is overeating. “These are foods that are clearly bad for you and if you eat too much of them they will make you fat, but it doesn’t appear to be the main driver that is making people overweight and obese,” said David Just, lead researcher and co-director at Ithaca, New York’s Cornell Center for Behavioral Economics. But this does not mean it is okay to eat junk food. “One must be careful not to misinterpret the findings of this study to mean that eating fast food, candy, and soft drinks does not affect the health of children and adults,” says Samantha Heller, a clinical nutritionist at New York University Medical Center. His team’s report was published this month in the Obesity Science & Practice journal. The study involved an analysis of 5,000 US adults. Just and his fellow Cornell researcher Brian Wansink found that drinking soda and eating fast food and candy was not responsible for weight gain in an estimated 95% of the population. However, fast food, soda, and candy are linked to weight gain, heart disease, and Type 2 Diabetes. “Anecdotally, the diets of the patients I see who are struggling with being overweight or obese are often high in fast and junk foods and sugar,” said Heller. She explained that processed foods actually trigger the body to crave more. The chemical makeup of the food leads to a physiological response. A diet high in junk food starts a cycle of craving more and eating fewer healthy foods.